In Formigine 85 children with the support of 26 adults (parents, grandparents, volunteers), in 4 schools were contributing 23,370 Miglia Verde to the ZOOM Campaign this yaer. 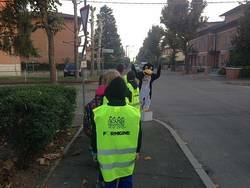 With their "Bimbibus" activites, which were implemented in 2009 by the Municipality of Formigine in collaboration with the Agency for the Mobility of Modena (aMo www.amo.mo.it) and local schools, the children walked to school with defined timetable and stops, travelling at any kind of weather. Every child and every adult wears a high-visibility bib and an identification badge with the logo of the Bimbibus project and his/her own name. 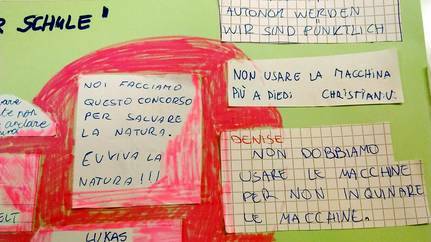 In Piacenza this year 1,797 children in 10 schools were participating. Many of them used the Pedibus every day so they contributed to the campaig all day long. Together the childrne in Piacenza collected 33,411 Miglia Verdi. 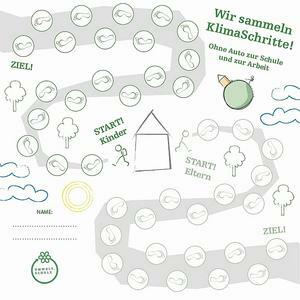 This year 39 Schools with 3510 pupils in 271 classes took part and with the support of their partens and teachers collected the least 64,761 Climate Steps (some school started the action later so their results couldn't be included for the handover at COP 23). 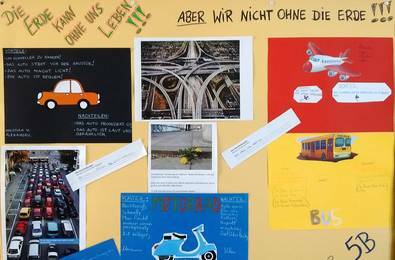 Many pupils also visited the exhibition KlimaReise. Further Info and a short movie at the website of the Provinz Bozen Southtirol. 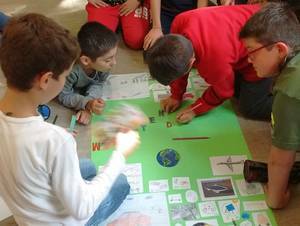 In S. Giacomo, there were three classes with 61 pupils and 8 teachers of Primaria S. Giacomo active in the ZOOM-campaign for four weeks. 405 green Miles + 3 teachers 120 green Miles. 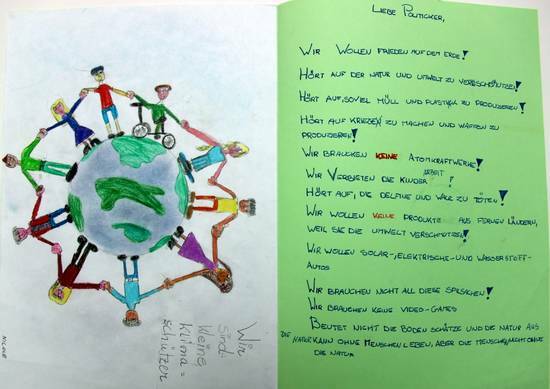 every child wrote a lettre addressed to a climate politician around the world in which they request sustainable actions finally! Thank you very much for those amazing contributions!